Koush is famous in the world of mobile development for all of his contributions to the world of rooting and customization. He is the creator of ClockworkMod, Rom Manager, Helium, AllCast and many other apps and utilities. He has been working on a new project for a little while that was in beta mode and was being kept under wraps. A Reddit user found Koush’s unlisted URL and posted it to the world and introduced us to Vysor. Koush was quick to the recovery and rather than try to cover it up he acknowledged the existence of the app, got a website online and released it to everyone. He was very quick to point out that the app was in beta and not ready for the public. Despite the beta status it is very well put together and we ran into no issues when testing it out. Vysor is made possible through the use of a Chrome extension and ADB. There’s no need to install anything to the device. Once you have the extension installed (ADB drivers will also need to be installed if they aren’t already) it is as simple as plugging the device in via USB, running the extension and selecting Find Devices. Once you select your device from the list a pop-up jumps to the front of your screen that mirrors your devices screen. Most everything is controlled with your mouse with a simple point and click. If you have a device that has hardware keys instead of on-screen you’ll need to know the following shortcuts: Home for Home, right mouse click for back and F1 is the menu key. 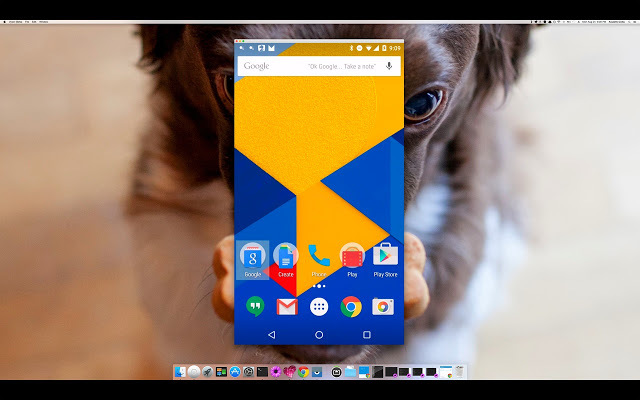 Koush put together the two videos below highlighting some of the features of Vysor. Check the videos out below and give Vysor a shot, you can get it from the Chrome Web Store. Redstone Now Available In Minecraft Pocket Edition v0.13.0! Pokemon Go – The Ban Hammer Is Coming Down! LEGO Games By Warner Bros On Sale for 99 Cents!